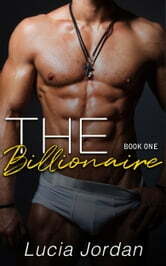 Billionaires don’t get much hotter than this! Wet your appetite with the first book of The Billionaire Series another wild and wicked story with a delicious mix of romance and deep passion by Lucia Jordan. For Arianna Taylor, the only thing she’s ever wanted was her own catering business. The feeling of bringing joy to other people on their big day is a feeling she’s always loved. When the catering company she works for lands a prestigious job, she thinks it’s just another stepping stone to reach her goal. She’s just gone through a horrific breakup and working is the only way she can keep her mind off the heartache she feels. However, the job takes an interesting turn when a stranger offers her an irresistible proposition. And while every fiber of her being knows she should say no, every fiber in her body is begging her to say yes. A night of passion like she’s never had before leaves her body trembling and begging for more. However, consequences the morning after leave everything in her life she’s worked so hard for up in the air, and brick by brick everything begins to crumble around her.